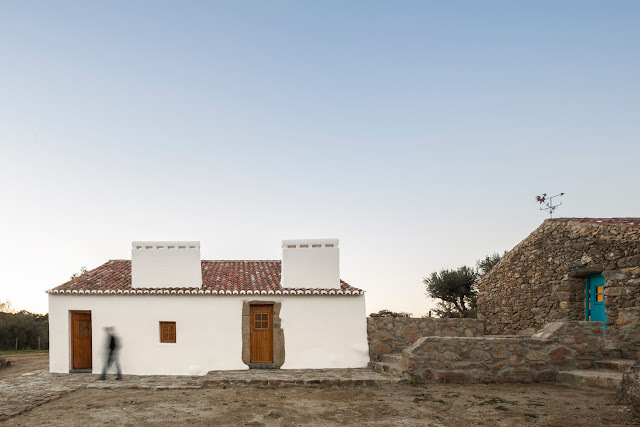 Casas Caiadas (whitewashed houses) is a project by Lisbon based office Pereira Miguel Arquitectos, who transformed a group of old water mills into a rural tourism estate for families in the Arraiolos region, north of Évora. In the heart of an Alentejo, the complex is located into a luscious green landscape with megalithic rocks, surrounded by centennial olive trees, a stream that runs between stones and a beach-like swimming pool. A Lisbon couple sets off into a real estate adventure and purchases, with an impulse, a small plot with four ruins in the middle of Alentejo called Moinho do Barroco (Barroco’s Water Mill). 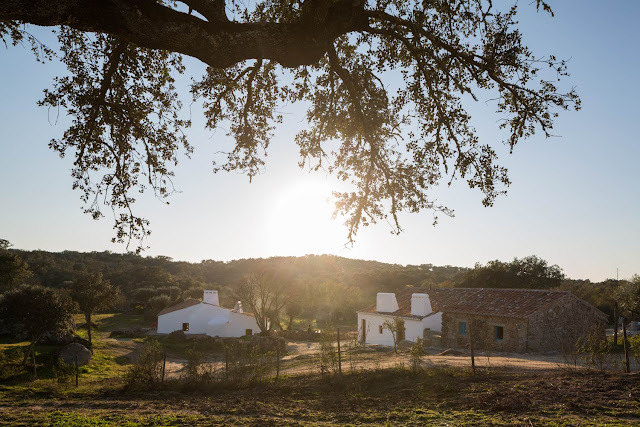 The location is remote, without paved road access and only accessible in summer, as the river fills and overflows in winter. 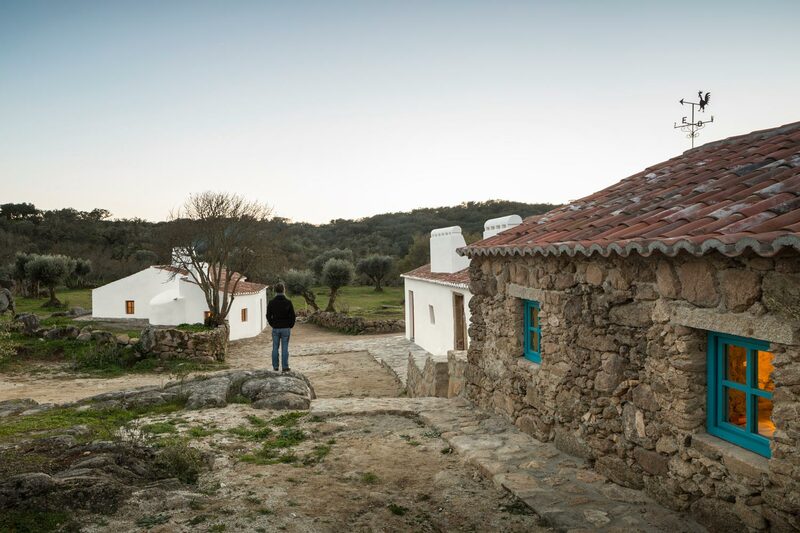 The early days are passed clearing the land, investigating the site and thinking what to do next. 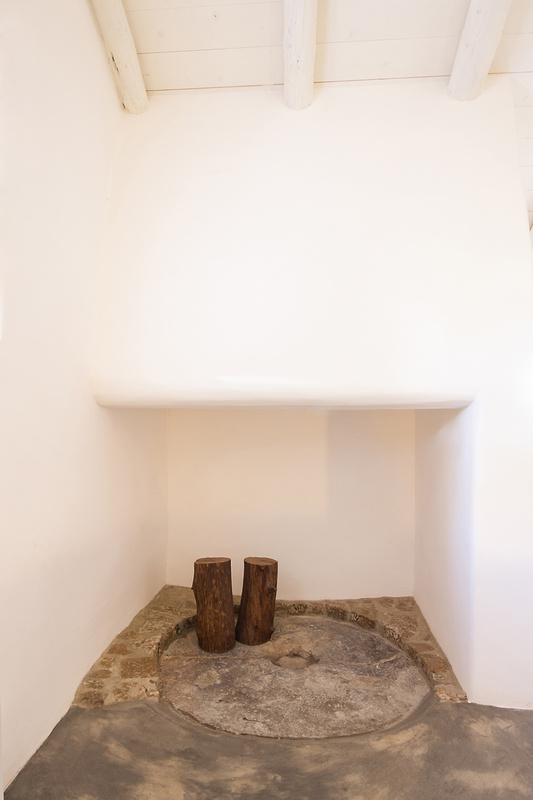 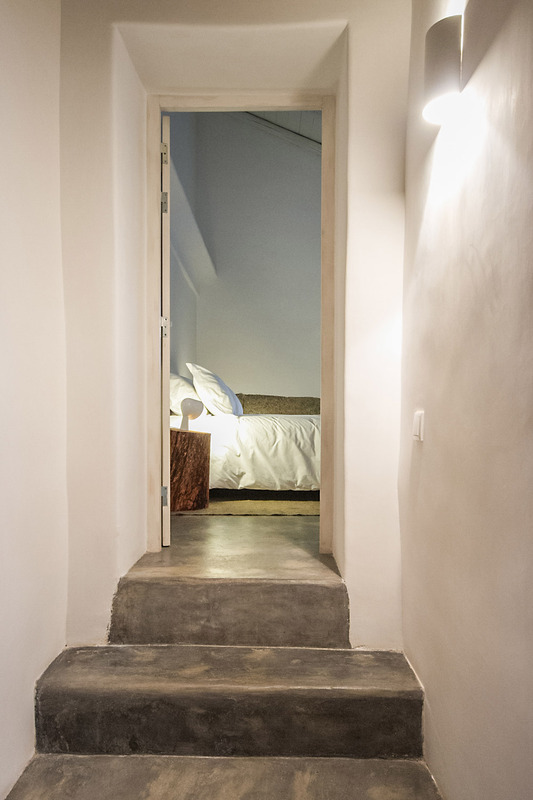 They decide to get help and recover the original buildings, keeping as much as possible of what remains original and unique, and found in arquitect Luís Pereira Miguel the right partner for the project. 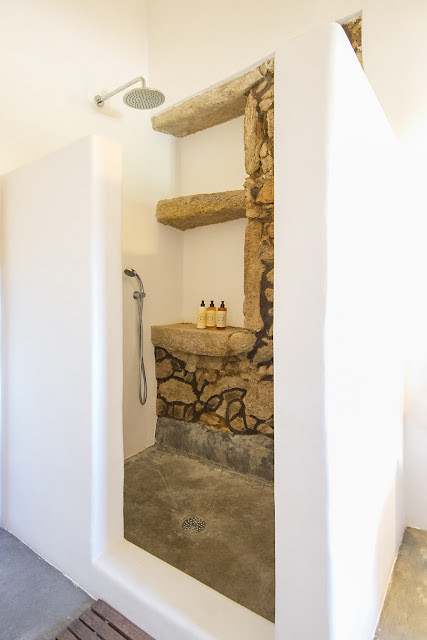 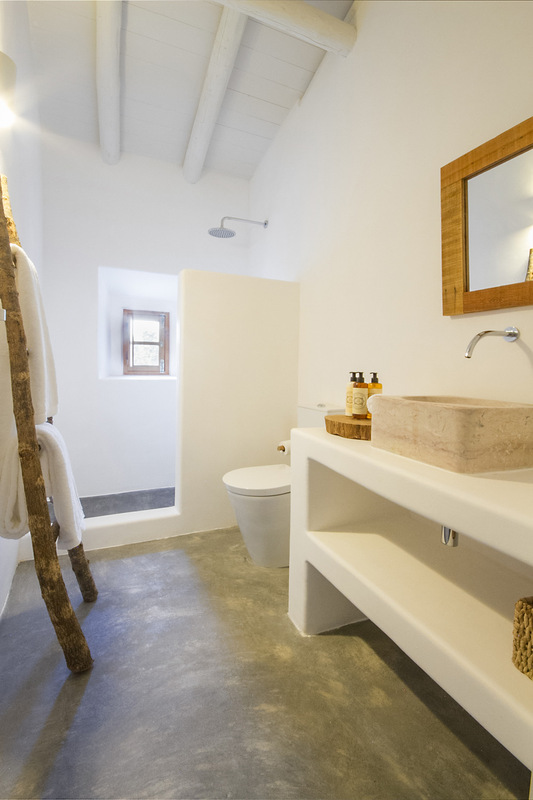 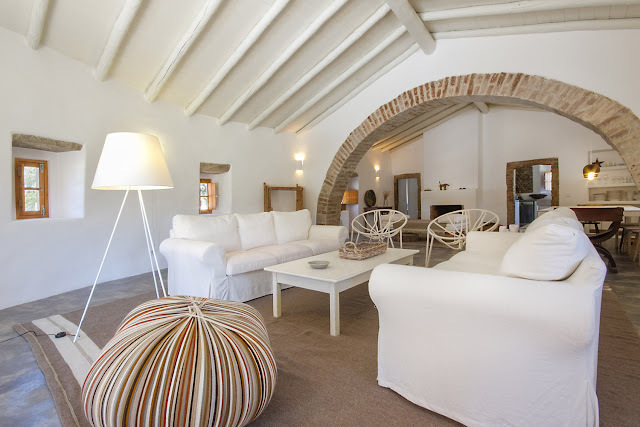 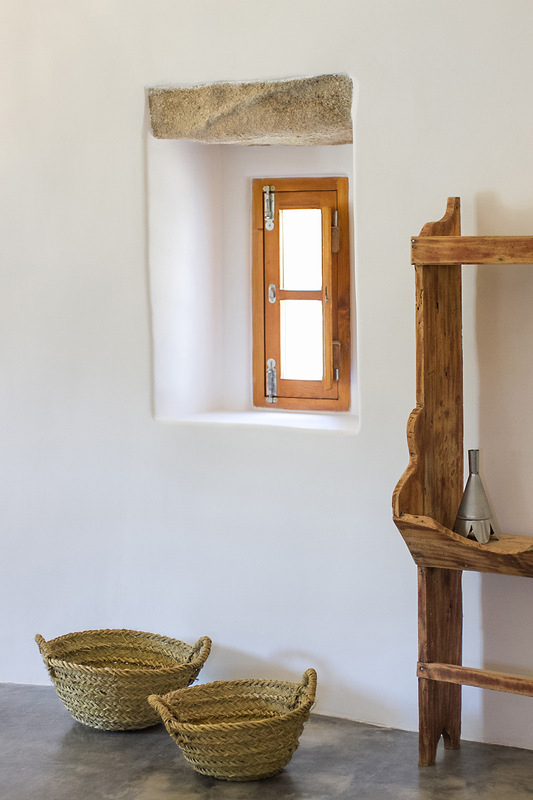 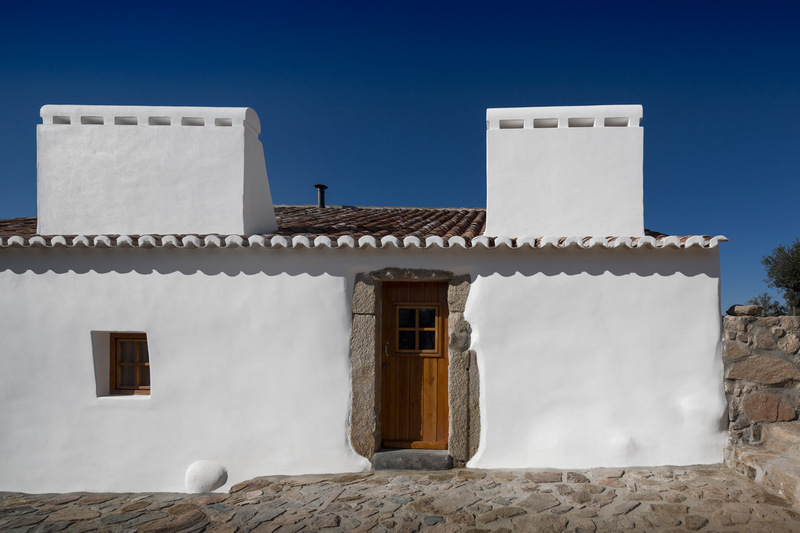 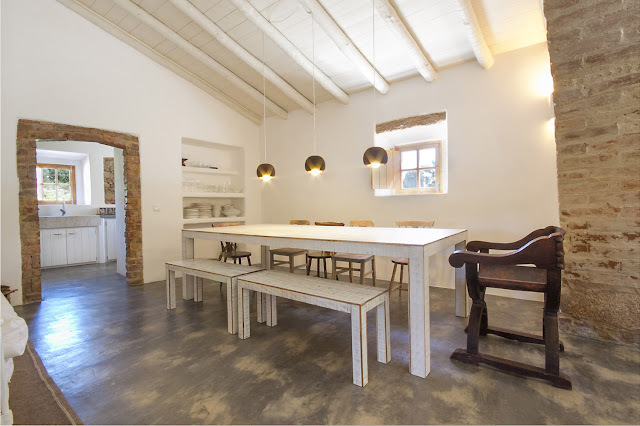 The "Casas Caiadas" (Whitewashed Houses) project is presently a rural tourism estate in the Arraiolos region, north of Évora, designed for hosting families, or groups, up to eight people. 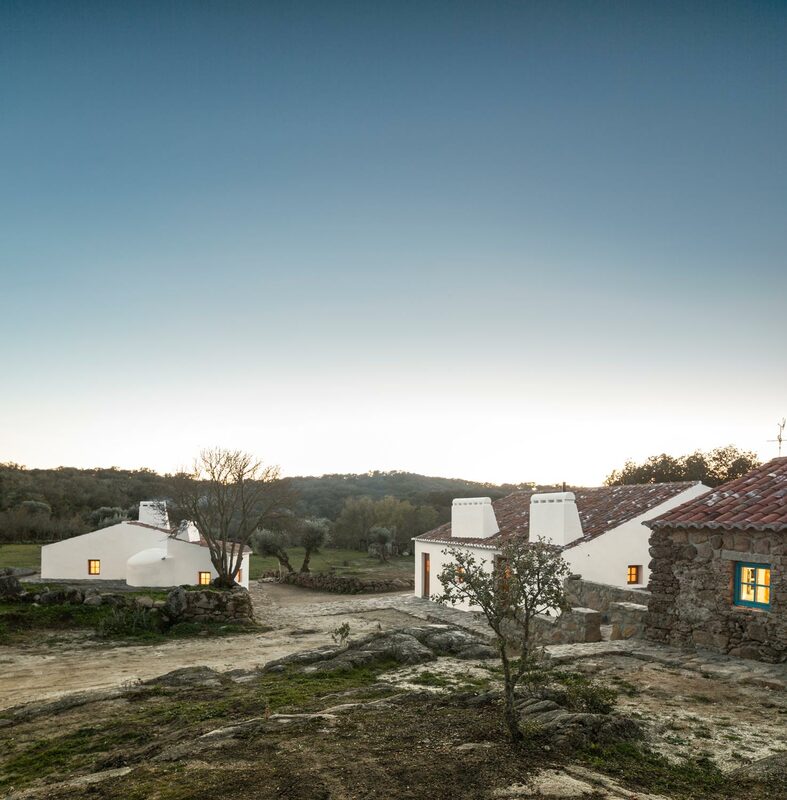 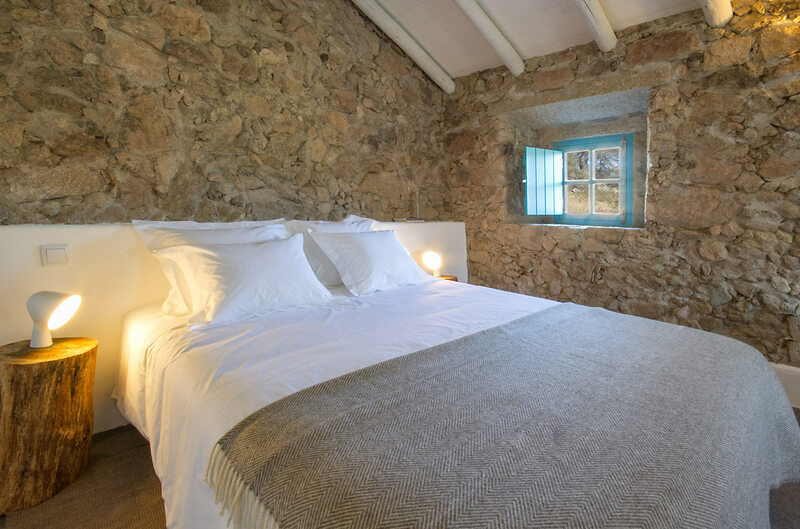 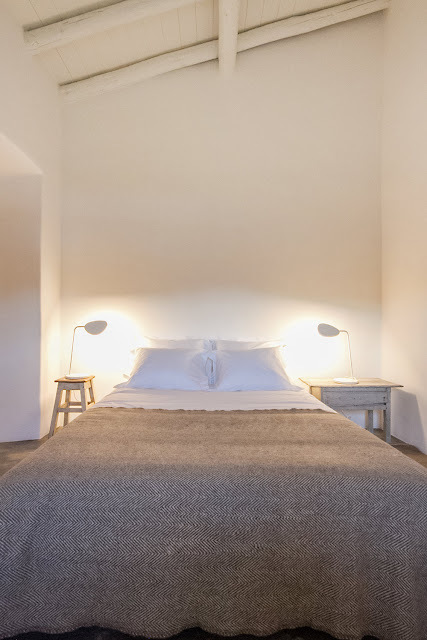 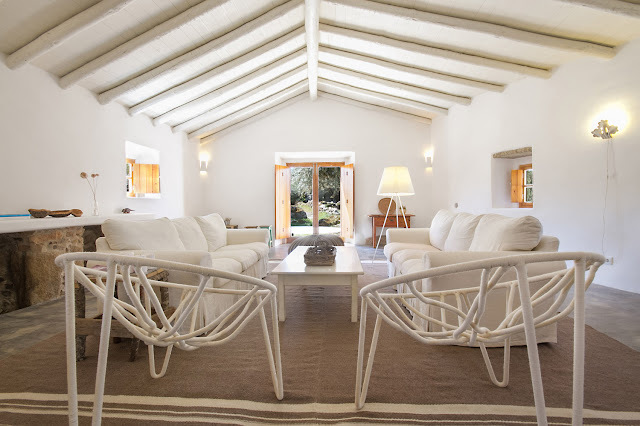 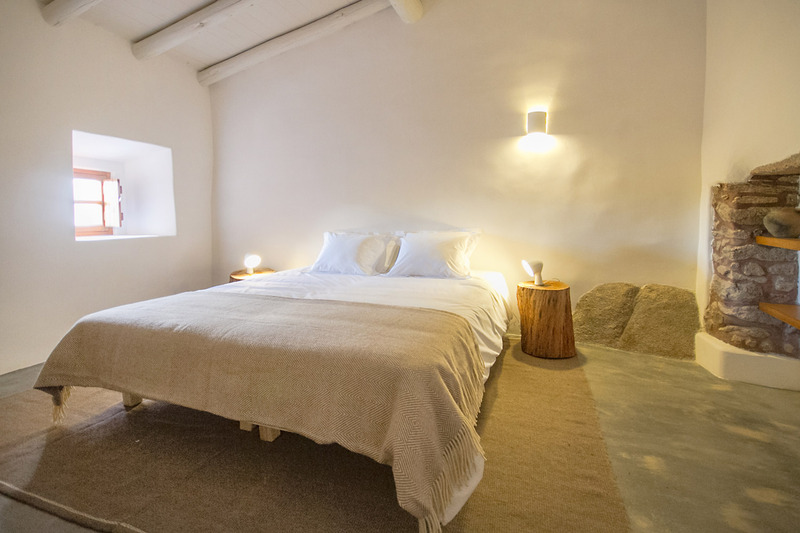 Casas Caiadas consists of three independent houses (plus a support house), fully restored from a core of old water mills, in the heart of an Alentejo with waterways, luscious green landscape most of the year and megalithic rocks. 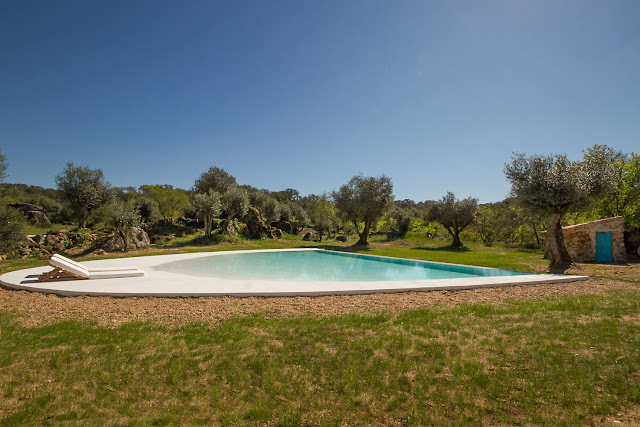 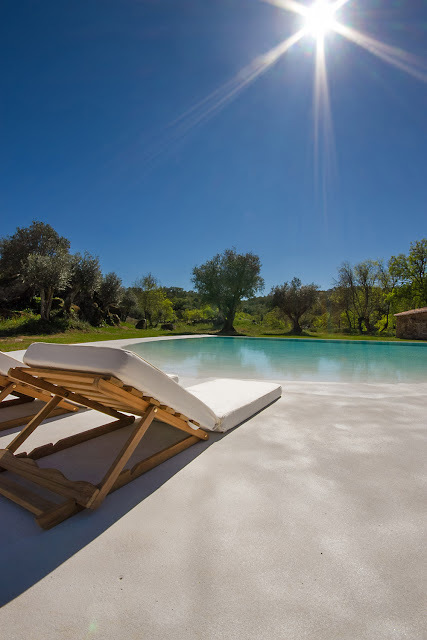 A place to relax by a stream that runs between stones, surrounded by centennial olive trees, menhirs and a beach-like swimming pool. 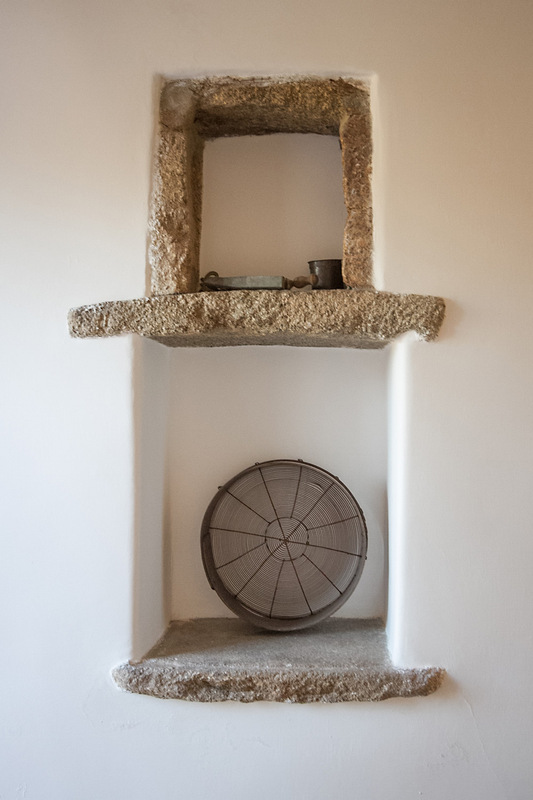 Nearby, there are towns of unique beauty and historical interest, with castles and other monuments. 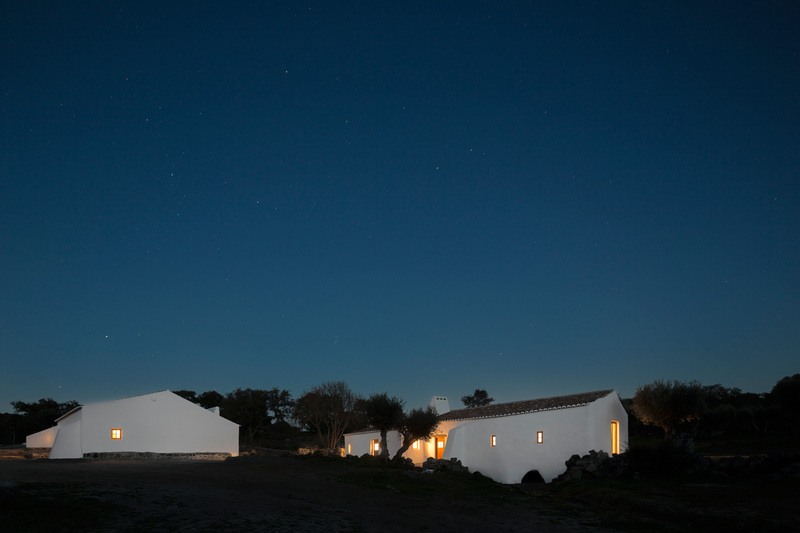 When night falls, back at “Casas Caiadas”, the sky offers a chance to contemplate the stars with visibility conditions like no other place in the south of Europe.